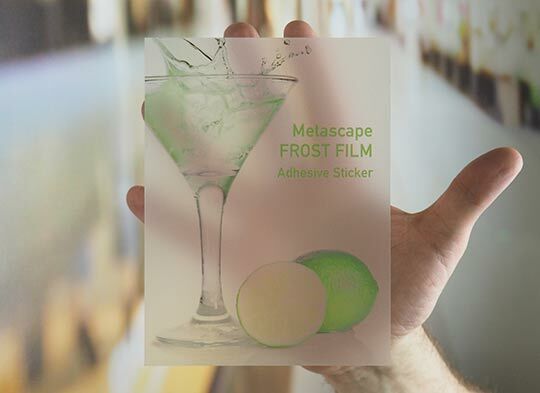 Frost Film has a frosted appearance that blurs out the background. Great for a privacy screen. 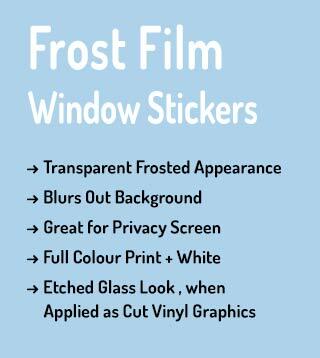 Can be printed in full colour & white for a very high end look. 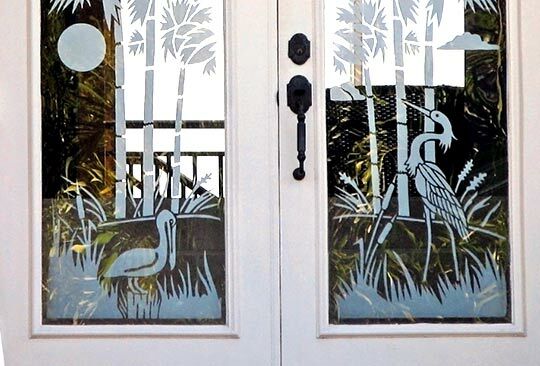 It has an etched glass effect when applied as cut vinyl graphics. QUOTE FORM - Let's Get Started! Art department people will check your artwork before you place an order. Customer service can answer any questions you may have or make product recommendations for you. 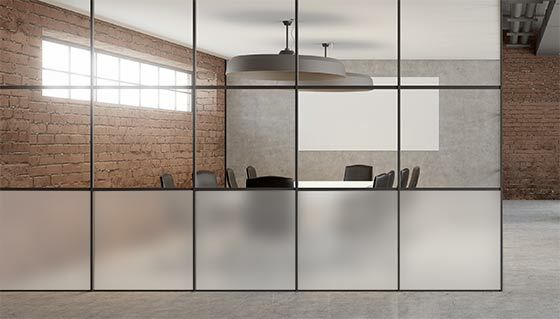 If you have multiple items, different artwork sets or other more complex needs, we can take these factors into consideration for best pricing and production. Fill out a QUOTE FORM with the details of your order. Upload artwork, either using the quote form, or the Upload Artwork link. We will get back to you with a final price including shipping & applicable taxes. → You can pay by credit card (Visa/Mastercard/Amex) using our secure online payment utility. See Payments link. → You can pay via PayPal. We can email instructions. Artwork Proof. Once payment has been received, we will email you a PDF artwork proof within 1 business day. You must reply with your approval or request for changes. We will make revisions as needed until you are satisfied with the layout. Production & Shipping. Once you have approved the artwork proof we will put your order into production. We will email you tracking information when your order has shipped. Our standard production time is 4-5 business days from date of artwork approval. Standard ground shipping adds an additional 2-4 business days depending on your location. Express shipping is also available. We may be able to accommodate RUSH orders depending on our workflow at a particular time. Please contact us. We use FedEx Ground for shipping to most locations in Canada. Delivery times are 2-3 days to most major centres. There may be additional shipping charges if a Canada Post delivery is required (usually, for box numbers & some remote locations). Under $150.00 - add $13.00 shipping. $151.00-$250.00 - add $16.00 shipping. $251.00-$350.00 - add $19.00 shipping. $351.00 or more - add $23.00 shipping. Express shipping is also available at an additional cost. For detailed artwork information and advice see Artwork Guide in the Support menu. You can upload artwork directly in the quote form, or you can use the Upload Artwork link in the Support menu. What’s So Special About That?